Louis Joseph was born in 1854 in Golub, Poland. In 1866, at the age of 12, Louis Joseph stowed away on a ship bound for America. He met some family members, and they headed west to San Francisco. In 1875, Joseph was naturalized as an American citizen in Point Arena, Mendocino County, California. In Ukiah, California, he managed B. Marks’ store. He earned enough money to purchase his own store in Oroville. In 1890, Joseph became the manager of a hotel in Tacoma, Washington. Soon after, the hotel burned down, and Louis Joseph came back to San Francisco. There he joined the wholesale produce firm of Levy, Zentner & Co.
His salary was $85 a month. 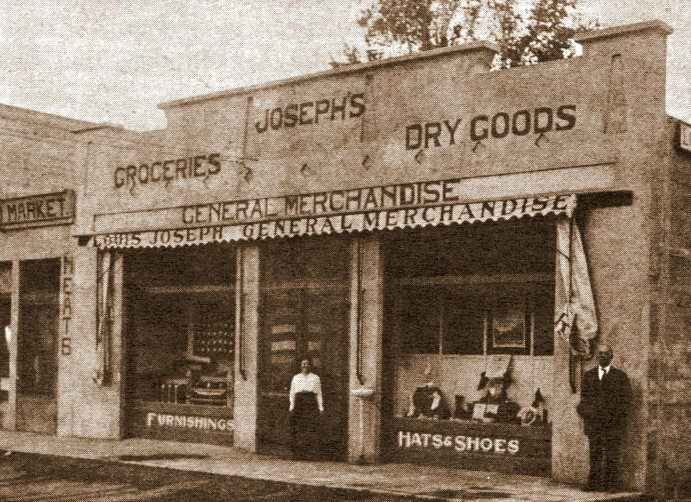 Louis Joseph briefly operated a hardware store on Sixth Street. In 1892, Mary Joseph Levy encouraged her brother to join her and her family in Independence and work at a hotel owned by her husband, Henry Levy. In 1895, Louis Joseph borrowed a total of $400 from Henry Levy and J. K. Eibeschutz to open a store in Big Pine, on the northwest corner of Crocker and Main. Joseph acquired merchandise from Haas Brothers and Levi Strauss & Company in San Francisco. The store was successful within its first year and, when Thomas & Hill (a nearby store) closed, Joseph purchased their fixtures and moved to the new location. Joseph spoke about five languages, including English, German, French, Spanish and some Chinese – a major asset in his merchandising business. In 1897, he bought a saloon, which he refurbished. 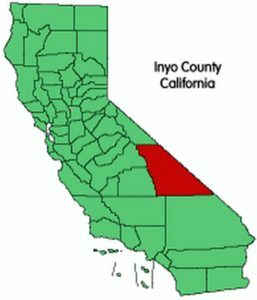 In 1900, Lida became a boom town after the Tonopah and Goldfield, Nevada gold rushes began. Louis Joseph shipped merchandise to Lida, and then opened a branch of his Big Pine store. In 1904, his son, Douglas Joseph, ran this store. 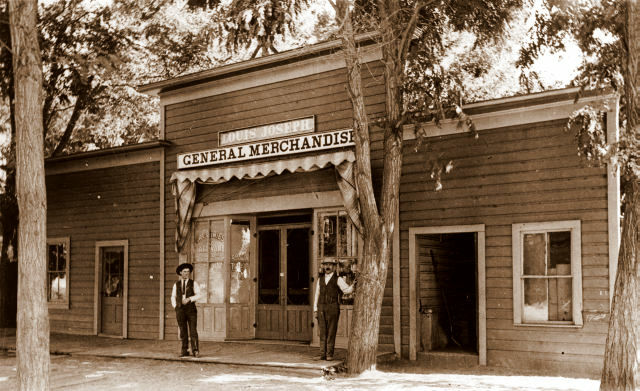 The Lida store closed in 1907 and its merchandise was transferred back to the Big Pine store. Louis Joseph invested in mining stock, earning $5,000. In 1916, he expanded the store with his sons, Irving and Douglas. Many business owners decided to leave Big Pine in 1923. The Josephs bought much of their stock and expanded their business to create three departments: groceries managed by Irving, dry goods managed by Douglas, and hardware managed by Stewart Bedell, a longtime employee. During the early 1920s, Louis Joseph stepped back from his store and left his sons in charge of the daily operations. In 1927, the Joseph home on Crocker burned down. Louis Joseph built a new home on School Street. In 1932, Louis and Minnie Joseph retired to San Francisco. In 1935, Douglas Joseph bought a store in Bishop, California. Irving Joseph purchased a store in Lone Pine, California in 1940. The following year, Irving and Jessie purchased land for a larger store on the west side of Main street. Louis Joseph married Minnie Harris (b.1868) in 1890. They had two children: Irving (1891-1968) and Douglas Robinson (1897-1974). They lived next to their store until 1922, when Joseph bought the Lochrie Ranch on the south side of Crocker Avenue. Douglas Joseph was educated in Big Pine. He worked for Moore-Watson Dry Goods Company so that he could learn the business and handle the management of his father’s store. Irving Joseph married Jessie Peden in 1915. Douglas Joseph married Zetta Hudson, a teacher, in 1923. 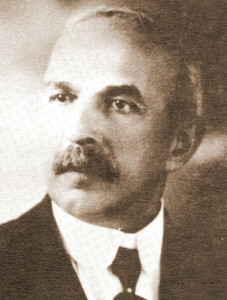 Louis Joseph died in 1935. Minnie Joseph died in 1945. They are buried in the Jewish Hills of Eternity Cemetery in Colma, California. Zetta Joseph, “Louis Joseph of Big Pine, California,” Western States Jewish History 19/3. Samantha Silver is curator of this Louis Joseph exhibit.